The family of an oilfield worker who died 3 years ago near Kingfisher claims the State Medical Examiner’s office failed to properly determine that his death was due to toxic vapors from oil. The body of Dennis Mason was found near his truck and a crude oil tank. Investigators suspected toxic vapors killed him but the state ME did not test his blood for petroleum chemicals before declaring he died of a heart attack. An investigation by E and E news found the family still contends the ME ignored signs he died because of the oil he was hauling. 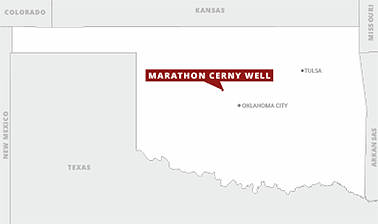 Dennis Mason’s body was found, face down, between his truck and a crude oil tank at a well site near Kingfisher, Okla. Investigators immediately suspected he was killed by toxic vapors from the oil. But they weren’t able to prove it, because state medical examiners didn’t test Mason’s blood for petroleum chemicals before declaring his death natural, the result of heart failure. Occupational Safety and Health Administration inspectors had quickly sent word to the medical examiners that they suspected his death was related to his job hauling oil for Sunoco Logistics Partners. They sent dozens of pages of workplace safety hazard alerts and medical literature recommending tests for industrial chemicals when people die at oil well sites. But state officials say they never got the email message. Investigators at Oklahoma’s Office of the Chief Medical Examiner (OCME) tested only for illegal drugs and alcohol before attributing his death to natural causes. Mason’s family members reject that conclusion. While he may have died from heart failure, they believe state investigators ignored signs his death was related to the oil he was hauling. “They tested him for drugs, but they didn’t test for what might have killed him,” said Jennifer Mason, Dennis Mason’s daughter-in-law. Byron Curtis, Oklahoma’s chief forensic toxicologist, said the test for alcohol would have detected if there were volatile petroleum chemicals in his blood. “None of the information we had from the scene or from the postmortem examination indicated we needed to do those tests,” he said. The handling of the case indicates that more than four years after worker safety officials started warning of the lethal dangers of inhaling petroleum gases, the danger is still ignored in some corners of the oil patch. The National Institute for Occupational Safety and Health (NIOSH) has linked at least 13 oil workers’ deaths to inhalation of the petroleum gases such as butane or propane. Safety advocates suspect there may be more cases (Energywire, Sept. 4, 2018). The gases, called volatile hydrocarbons or volatile organic compounds (VOCs), can disrupt the heart and trigger heart failure, especially in people with an existing heart condition or other ailment. The petroleum vapors can push enough oxygen out of the air to asphyxiate a person, even outdoors. In a cruel twist, they disorient the brain so victims often don’t try to escape. The vapor clouds can also ignite or explode. Public health researchers have indicated that the gases could also pose a risk to people who live or work nearby, but they lack data (Energywire, Oct. 27, 2014). The gases whoosh from tank hatches and flow from tanker trucks as they fill. The oil produced from shale using high-volume hydraulic fracturing emits more of the hydrocarbons than conventional crude. Most of the recorded deaths have occurred on catwalks high off the ground, where workers open “thief” hatches to test and measure oil. More recently, researchers have found that workers are also at risk on the ground from the gases that vent out of truck tanks as drivers fill them with oil. 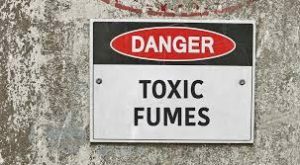 Safety advocates have been pressing companies since 2014 to reduce workers’ exposure to VOCs at well sites, and researchers have urged officials to test for VOCs when investigating deaths of workers found at the sites (Energywire, April 27, 2015). But state officials didn’t test for petroleum gases after Roberto Perez, 54, was found dead at an oil well site in West Texas in September 2016 or after Donald Jablonski, 46, died at a North Dakota well site in November 2016. OSHA inspectors found Jablonski wasn’t wearing a monitor to detect such gases and his supervisor didn’t know how to use one. Both cases, along with Mason’s, are listed by NIOSH as suspected petroleum poisoning (Energywire, Sept. 4, 2018). Medical examiners in Oklahoma, a top oil and gas producer, have missed signs of petroleum poisoning before. 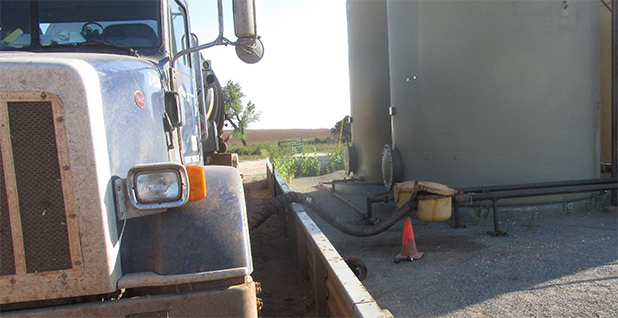 When oil hauler David Simpson, 57, died in 2014 at a well site outside Ardmore, Okla., they didn’t do an autopsy or test for traces of petroleum (Energywire, Sept. 18, 2015). His widow later won a settlement from the owner of the well, XTO Energy Inc., after alleging that the company had failed to protect her husband from the toxic gases (Energywire, Sept. 22, 2017). “We run into some medical examiners and they feel those tests aren’t needed,” said J.D. Danni, an oil and gas safety and health specialist in OSHA’s Denver regional office, who gave a presentation on the hazard at a safety conference in December. One of the skeptics is Society of Forensic Toxicologists President Dwain Fuller, a Dallas-area practitioner who worked in the oil field as a young man before he became a toxicologist. “It’s mighty unlikely you would die from that in the open air,” Fuller said. OSHA also gets resistance from local officials who don’t want to pay for the tests, which can cost around $700. In at least one recent instance, Danni said, OSHA agreed to pay for the test. Curtis, the Oklahoma toxicologist in the investigation of Mason’s death, said he’s talked to OSHA officials about their suspicions that workers have been killed by VOCs at well sites. But he remains doubtful. Three of the deaths NIOSH linked to VOCs were men age 21 or younger. The large companies that own and operate the oil wells often are aware of the hazards and have rules that protect their employees. But the contractors who do much of the work sometimes don’t get the same level of protection. Marathon Oil Corp., which owns the well site where Mason died, declined to comment because Mason’s family is suing the company. In court documents, Marathon has denied liability. A spokeswoman for Sunoco Logistics’ parent company, Energy Transfer Partners, said the company would not comment on employee matters. Some companies provide truck drivers with vent hoses to divert the flow of gas away from work sites. The use of such hoses is recommended in an official standard of the American Petroleum Institute. But Mason didn’t have a vent hose on Oct. 1, 2016, when he rolled up to Marathon’s Cerny 1607 1-35MH well near Kingfisher. 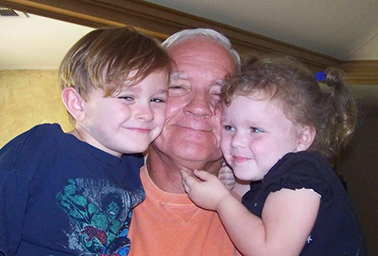 Mason was a strapping 66-year-old truck driver from Guthrie, Okla., who didn’t drink or smoke. His daughter, Saundra Sears, said she can’t square her image of the active, outdoorsy father she knew with a determination of natural heart failure. Mason, pictured here in a family photo. Photo courtesy of the Mason family. Mason had been a truck driver for most of his adult life, but he started hauling in the oil field for Sunoco a little more than a year before he died. He went out to the site near Kingfisher early that morning, even though it was a Saturday. “My dad always liked to start early,” Sears said. He climbed up a catwalk to a tank and opened the hatch to measure the oil inside. He left it open and climbed down the catwalk and started filling his truck tank. Without a vent hose, gases would have vented from the rear of the truck. Weather reports, Sears noted, show that the air was still that morning. He was found shortly after noon by another driver, inside a low metal wall around the tanks. His face was bloodied and bruised from a hard fall. His body was taken to the medical examiner’s office the next day, a Sunday. OCME officials said there was one physician on duty at the medical examiner’s office that weekend, dealing with 16 cases. Bodies are examined in the order in which they arrive. The autopsy was done, and blood was drawn, on Monday, Oct. 3, 2016, about 48 hours after he died. That afternoon, an OSHA inspector from the Oklahoma City office sent an email to the medical examiner’s office flagging concerns that Mason’s death might be work-related. E&E News obtained a copy of the email through the Freedom of Information Act (FOIA), but OSHA redacted the names of the sender and recipient. The email message explained that OSHA had been studying the dangers of high VOC levels after oil workers open tank hatches. Attached to the email were 45 pages, including a paper by Dr. Robert Harrison, an occupational medicine specialist at the University of California, San Francisco, Medical Center, on the dangers of VOCs, referred to as “hydrocarbon gases and vapors,” or HGV (Energywire, Jan. 15, 2016). 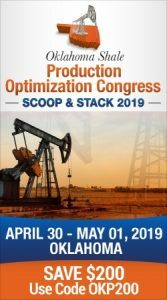 “Medical examiners and coroners investigating workplace fatalities need to be aware of the possibility that exposure to high concentrations of HGVs and [oxygen] deficient atmospheres can result in sudden cardiac death in oil and gas extraction workers,” Harrison wrote along with several co-authors. The medical examiner staffer replied with thanks and a promise to “gets to the pathologist who was assigned the case,” according to the email thread. But OCME officials say they have no record of receiving the OSHA email. E&E News has been unable to resolve why OSHA has a record of sending the email and receiving a reply, but the medical examiner’s office has no record of it. Even before OSHA’s email was sent, however, Mason’s death was deemed to have been the result of natural causes — hypertensive heart disease — in a preliminary autopsy report by the pathologist, Dr. Chrystal Cutrer. She also wrote that he had an enlarged heart. No request was made to test for VOCs, and that preliminary finding never changed. Cutrer now works in Arizona. She didn’t return phone messages left by E&E News seeking comment. Several of the deaths found to be from petroleum poisoning were originally chalked up to hypertensive heart disease. Curtis said that knowing about OSHA’s message “would have been helpful.” But he said any VOCs would have appeared in results for the test for alcohol in his blood, and didn’t. “Very light weight compounds like methane/ethane/propane/butane and others are detected on the same screen we do for ethyl alcohol if present in significant concentrations,” Curtis said. Some toxicologists, however, say it’s not certain that they would have appeared in those results, since more than two days lapsed before the blood sample was taken. Fuller, the Dallas-area president of the toxicologists association, said waiting two days to take blood makes it harder to say for certain that petroleum chemicals were not present. “This blood needs to be taken as quickly as possible,” Fuller said. Curtis did test a blood sample for VOCs in February 2017 after Sears called to ask what tests had been run. That test detects a much wider spectrum of hydrocarbon gases than an alcohol test. At that time, no sign of VOCs was found. The sample was four months old, but Curtis said that if it was taken correctly, any volatile organic compounds would still be present. The medical examiner’s office lost its accreditation in 2009, largely because its previous facilities were substandard. It hasn’t regained its accreditation even after moving to a modern facility. OCME officials say less than half of the country’s medical examiner systems are accredited because of a nationwide shortage of forensic pathologists. OCME currently has six unfilled forensic pathologist positions, not for lack of funding, but because of the shortage of pathologists. OSHA’s investigation indicated that Marathon employees carried monitors that would have picked up the gases, according to the investigative case file, which E&E News obtained through FOIA. But contractors, like Sunoco drivers, did not. Inspectors initially cited Marathon and Sunoco for allowing Mason and other workers to be exposed to explosion and inhalation hazards. The citations say the companies failed to inform workers of precautions to take when gauging and pumping crude oil. OSHA sought a $25,350 fine from Sunoco, but later settled for $10,000. The violation was downgraded from “serious” to a lesser violation of improper accident prevention signs. OSHA originally sought a $12,675 fine from Marathon, but withdrew the citation as part of an informal settlement agreement, and the company paid no fine. OSHA officials continued to suspect that petroleum vapors felled Mason after closing the case. David Bates, then the agency’s area director for Oklahoma and now retired, called family members after the case closed, pointing them toward hydrocarbon poisoning, and forwarded some of the same materials OSHA had sent to the medical examiner’s office about deaths from VOCs. Attempts to reach Bates were unsuccessful.